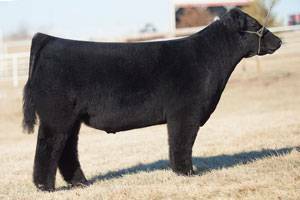 The clean calving ease sire Rodgers Cattle Co. has been waiting for. Cow families are equally as important as the sire of a good promotion bull. His dam is well on her way to making a name for herself, she is the hairiest TH/PHA free female that Rodgers has on his place.